Crown was tasked with completely reapportioning this four-story townhouses floors, to create three bedrooms and two and a half bathrooms, however the devil is in the details when relocating the kitchen from the third floor to produce a more logical flow and ease of access. Crown leveled the second floor creating dramatic 11-foot ceilings and lowering the kitchen area and powder room. The new and improved kitchen now features Poggenpohl cabinetry and stainless steel Miele and Bertazzoni appliances, opening to a sprawling living room looking out onto the historic Beekman Street. The third floor was modernized and boasts two bedrooms and a full bathroom. Crown completely retrofitted the footprint of the fourth floor to create a true master suite which includes an en-suite bathroom featuring marble countertops, a skylight, and a large walk in closet with generous customized storage. 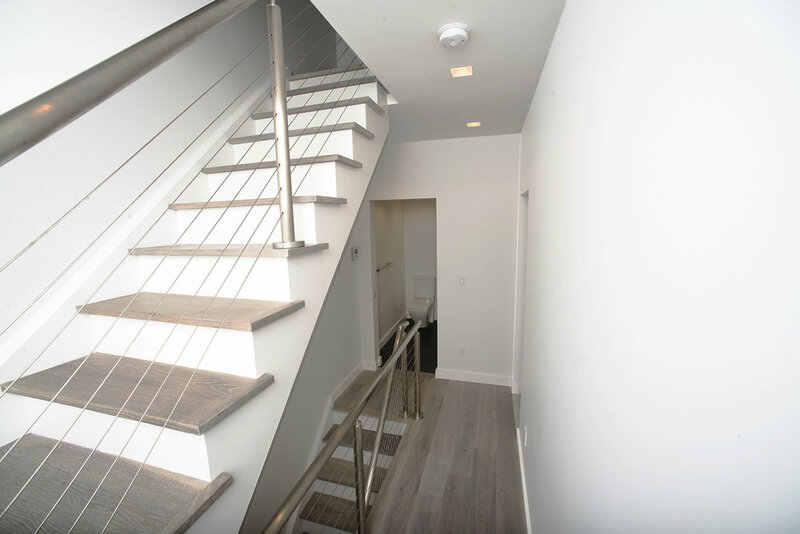 Finally, the top flight of stairs lead to a newly landscaped roof deck, which was formerly unfinished and used for mechanical equipment. Complimenting the views across the East River, the outdoor amenity is shrouded in landscaping, covered with turf, vegetation, and ambient lighting. As if the palatial rooftop wasn't capturing its potential, Crown achieved Landmark approvals for a glass enclosure with a usable roof above allowing for extra space to entertain and relax. Due to former lax property owners, the property was part of a combined zoning lot encompassing several adjacent buildings. For approval of our one-story addition our zoning analysis had to include the entire assemblage, which covered a majority of the block, while randomly skipping one lot. While our building represented a relatively small footprint, our analysis had to encompass almost 30,000 sq ft.